Fill a large pot with water 2 inches from the top. 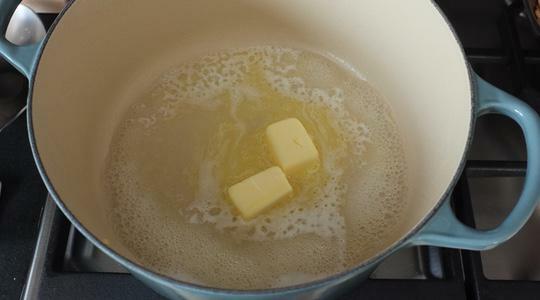 Place on the stove over high heat and let come to a boil; add 2 teaspoons of the salt. 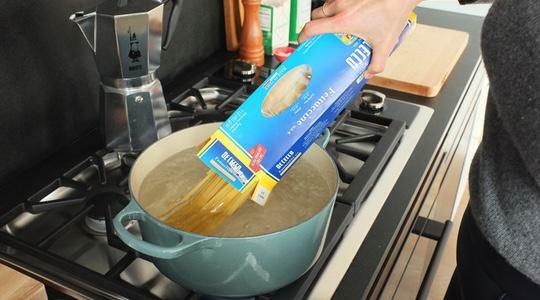 Cook the pasta according to the package directions (until al dente). 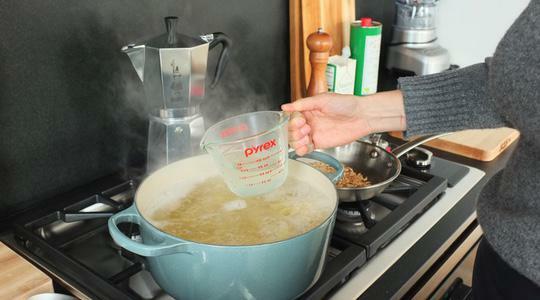 Use a liquid measuring cup to scoop out 1/2 cup of pasta water; reserve. Drain the pasta into a colander. 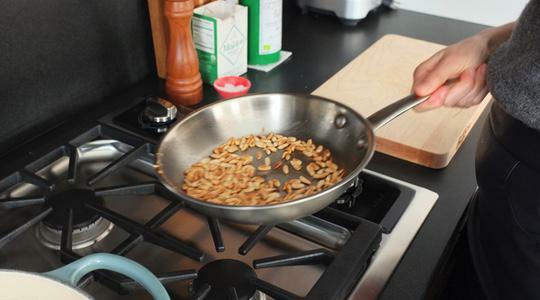 Meanwhile, put the pine nuts in a small skillet. Place on the stove and turn the heat on to medium. Cook, tossing or stirring often, until golden brown, 3 to 5 minutes. 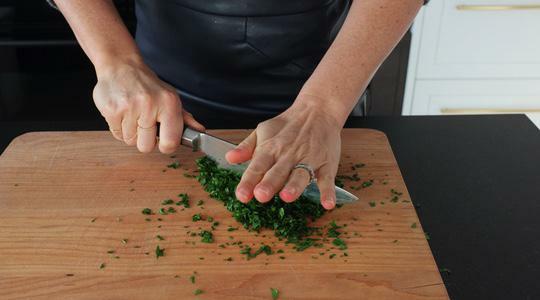 Wash the parsley and pat dry. Chop. 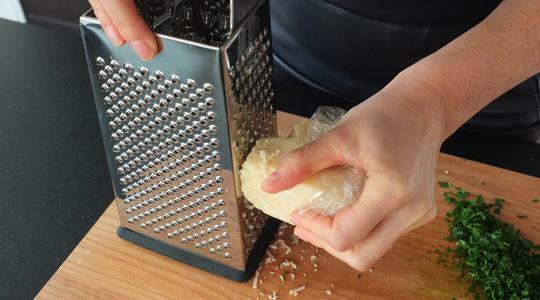 Grate the Parmesan (if grating yourself). Return the pot to medium heat, add the reserved pasta water, and let come to a boil. Add the butter. 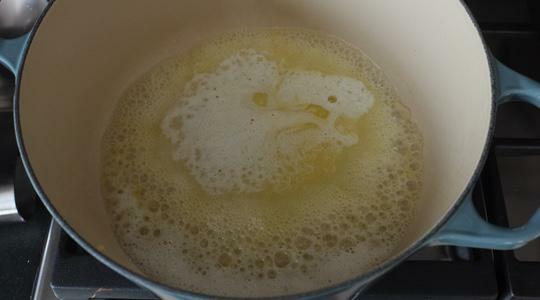 Once it’s melted, the butter and pasta water will form a sort of “sauce”. 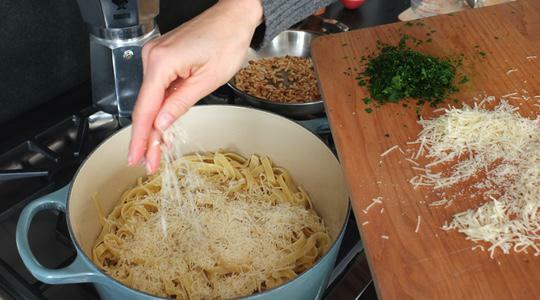 Add the pasta, turn off the heat, and toss. 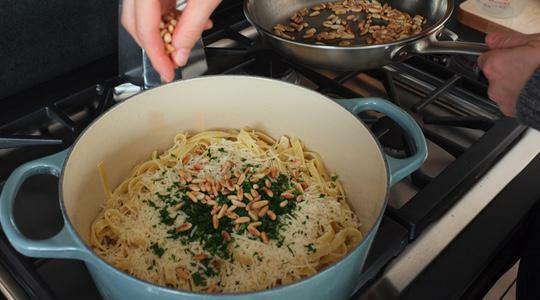 Add the Parmesan, parsley, pine nuts, salt, and pepper (about 12 turns on pepper mill). Toss until nice and creamy. 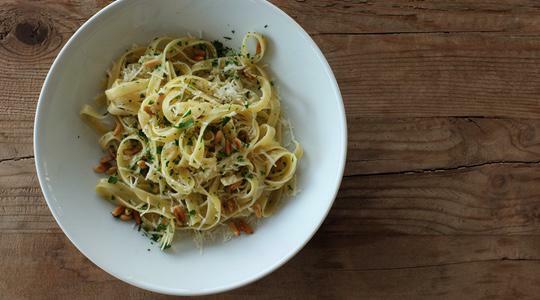 Serve with Parmesan.